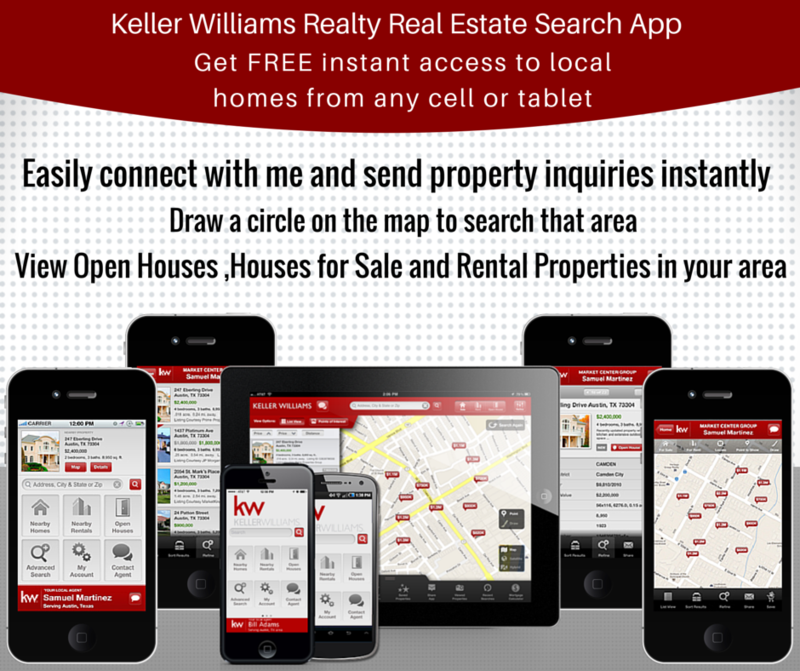 The best mobile real estate app for finding homes for sale. Are you tired of searching sites like Zillow, only to find that the home you really like actually sold 2 months ago? If so, give my app a try. It is GPS based and will actually find homes that are near you (that are really for sale!). Of course, you can also set up your own search parameters. Best of all, you are in control. You won’t be contacted by me or anyone else unless you specifically request it! Don’t just drive around hoping you find your next home. What if you turn left instead of right, only to later find out your dream home was to the right! There are so many great options that I am positive you will enjoy the experience. Just click the photo below to sign up, enter your mobile number and you are done! You can even just text “kw2dmyep2” to 87778.